Hooligan Cycles is PROUD to offer this 2018 Harley-Davidson STREET GLIDE, FLHX in Black with 50,309 miles. Priced to SELL at $15,995!! This motorcycle will not last long here. Clean title. Crazy Deal!!! We will take any motorcycle in on trade. Hooligan Cycles is PROUD to offer this 2005 Harley-Davidson ROAD KING, FLHRI in 2 TONE BLUE with only 9,393 miles. Priced to SELL at $7,995 !! This motorcycle will not last long here. Clean title. GREAT condition. Hooligan Cycles is PROUD to offer this 2016 Harley-Davidson STREET GLIDE SPECIAL, FLHXS in Black with ONLY 28,773 miles. Priced to SELL at $16,995!! This motorcycle will not last long here. Clean title. THEY DON'T MAKE THESE DYNA'S ANYMORE! COME AND GET THIS ONE! 2014 HARLEY DAVIDSON SOFTAIL BREAKOUT WITH ONLY 555 MILES!!! HARD CANDY SILVER METAL FLAKE IS WHAT THIS ONE IS ALL ABOUT! FLAWLESS AND EYE CATCHING MAKES THIS ONE A PERFECT RIDE! ONLY 102 MILES!!!!! ALMOST NEW! EXTRAS!! AND ITS ALL DONE RIGHT!!! Hooligan Cycles is PROUD to offer this 2018 Harley-Davidson Electra Glide Ultra Classic, FLHTCU in BLACK with only 24,158 miles. Priced to SELL at $18995 !! This motorcycle will not last long here. Clean title. GREAT condition. We have financing available with excellent rates and we can get almost get anyone financed! We can also work with your back or credit union. 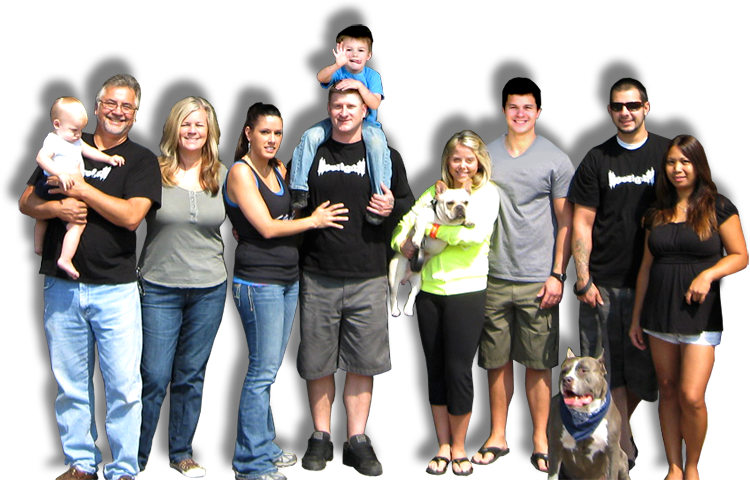 Hooligan Cycles is Family owned and operated. Hooligan Cycles is PROUD to offer this 2017 Harley-Davidson Electra Glide Ultra Classic, FLHTCU in 2 TONE RED with only 10,710 miles. Priced to SELL at $18995 !! This motorcycle will not last long here. Clean title. GREAT condition. We have financing available with excellent rates and we can get almost get anyone financed! We can also work with your back or credit union. 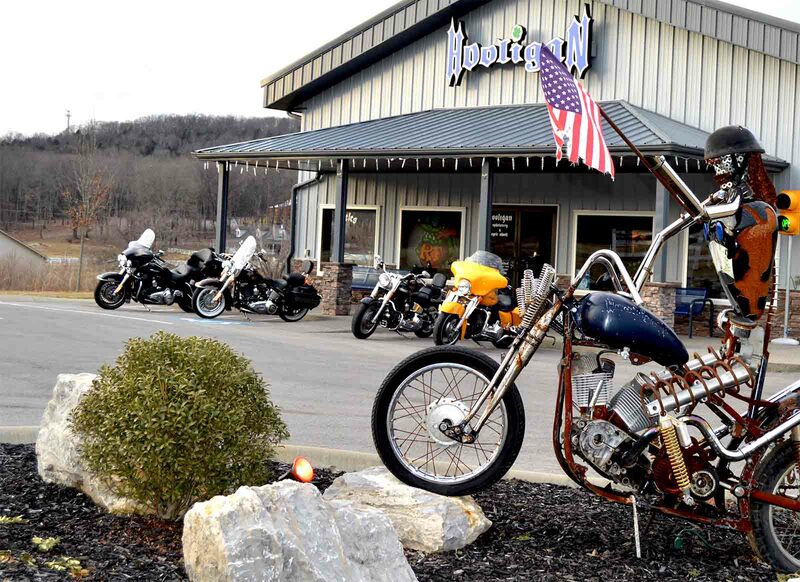 Hooligan Cycles is Family owned and operated. 2017 Indian Chieftain Limited only 7490 miles!! Hooligan Cycles is PROUD to offer this 2006 Harley-Davidson SOFTAIL NIGHTRAIN with only 15,786 miles. Priced to SELL at $10,995!! This motorcycle will not last long here. Clean title. We have financing available with excellent rates and we can get almost get anyone financed! We can also work with your back or credit union. Hooligan Cycles is PROUD to offer this 2009 Harley-Davidson ROAD KING, FLHR in RED with only 29,008 miles. This motorcycle will not last long here. Clean title. GREAT condition. Hooligan Cycles is PROUD to offer this 2017 Harley-Davidson ELECTRA GLIDE ULTRA LIMITED LOW, FLHTKL in VIVID BLACK with only 24,993 miles. Priced to SELL at $16,595 !! This motorcycle will not last long here. Clean title. GREAT condition. THIS BIKE IS PRICED $7,400 BELOW BOOK VALUE. Hooligan Cycles is PROUD to offer this 2002 Harley-Davidson DYNA WIDE GLIDE FXDWG3 in BLUE with only 13,945 miles. Priced to SELL at $7,750 !! This motorcycle will not last long here. Clean title. GREAT condition. Hooligan Cycles is PROUD to offer this 2007 Harley-Davidson HERITAGE SOFTAIL CLASSIC, FLSTC in Black with only 34,992 miles. Priced to SELL at $8,995!! This motorcycle will not last long here. Clean title. Crazy Deal!!! Hooligan Cycles is PROUD to offer this 2011 Harley-Davidson ULTRA LIMITED FLHTK in VIVID BLACK with only 38,058 miles. Priced to SELL at $10,995 !! This motorcycle will not last long here. Clean title. GREAT condition. Price does not include tax or license fees. Hooligan Cycles is PROUD to offer this 2009 Harley-Davidson DYNA FAT BOB in Black with ONLY 15,824 miles. Priced to SELL at $6,995!! This motorcycle will not last long here. Clean title. 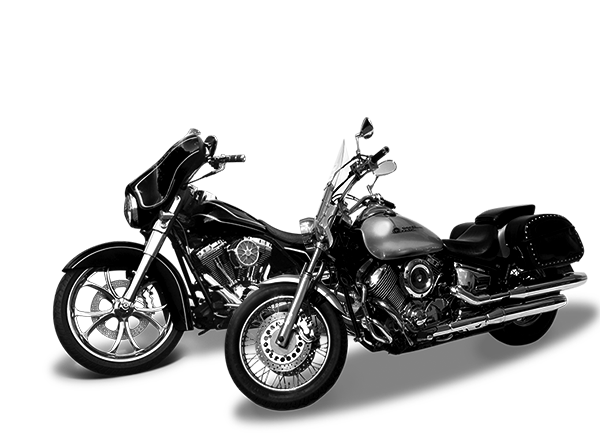 Hooligan Cycles is the place to get all of your Harley-Davidson motorcycles! This one right here is a 2004 Harley-Davidson SOFTAIL SPRINGER FXSTS in BLACK with ONLY 19,555 miles. This motorcycle will not last long here. Clean title. 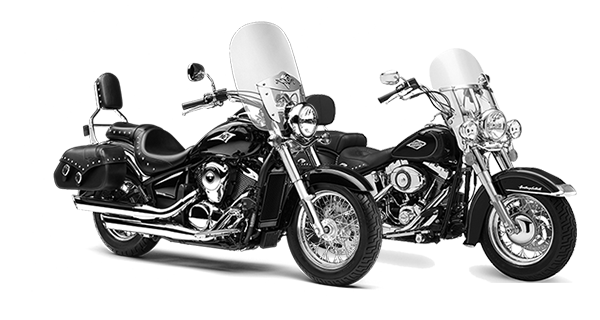 We will take any motorcycle in on trade.We have financing available with excellent rates and we can get almost get anyone financed! 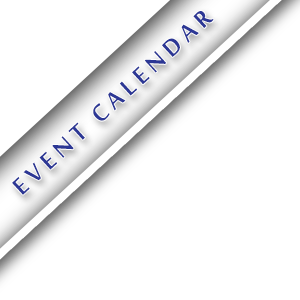 We can also work with your bank or credit union. 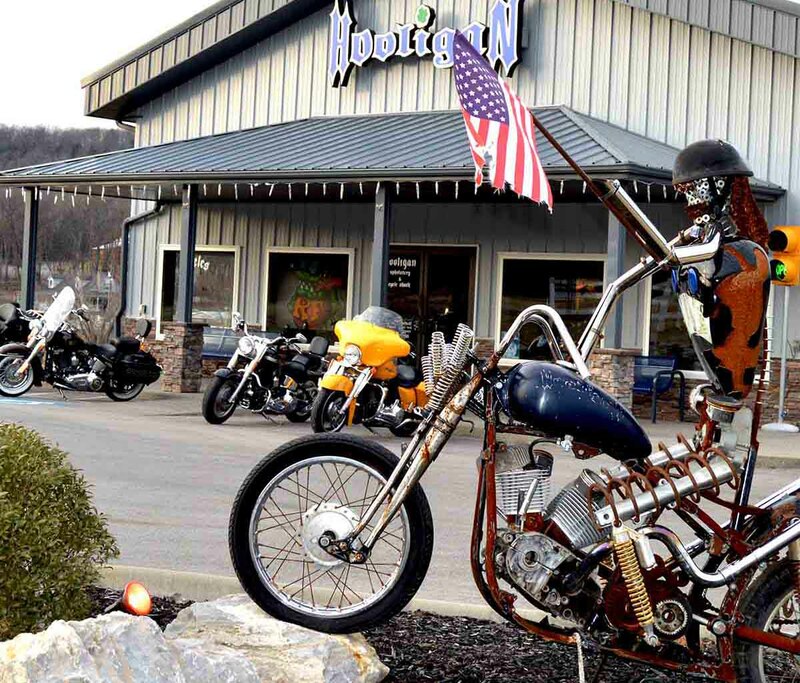 Hooligan Cycles is Family owned and operated.